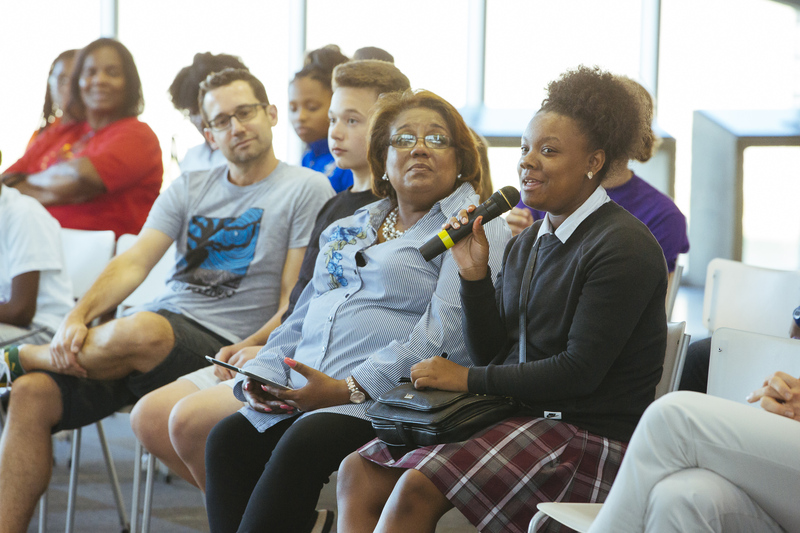 Begun in fall 2017, The McCleave Project seeks to deepen Opera Memphis' engagement with issues of equity and diversity in opera, both on stage and in the audience. In the first year of the Project, we featured a city-wide tour of Menotti's The Telephone, updated for the age of smartphones and featuring a fully African American cast. 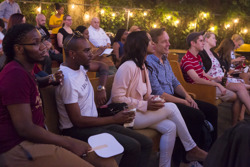 Each free performance of the 20-minute opera took place in a primarily African American area of the city and was followed by a moderated community conversation about race in opera. In 2018-19, we will continue to engage with our year one partners while adding a component of outreach to the Latino community. Working with Latino Memphis, we will present Spanish language programming and facilitated community conversations aimed at engaging with this growing population. 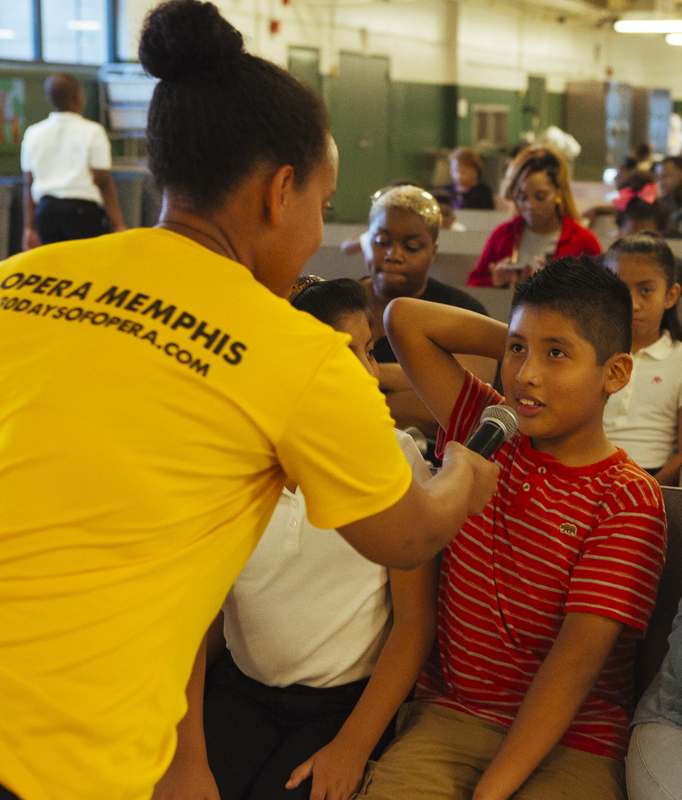 Through these efforts, Opera Memphis seeks to move beyond inherited opera traditions in meaningful partnership with the community. 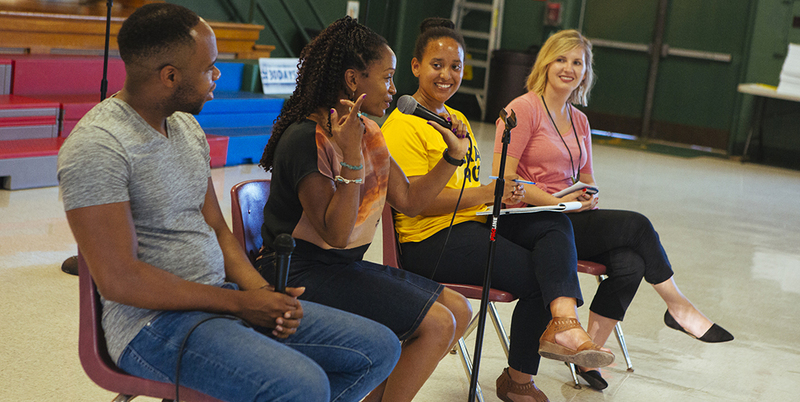 Launched in 2018, The McCleave Fellowships are the first of their kind, designed specifically to create early career opportunities for directors and conductors of color. 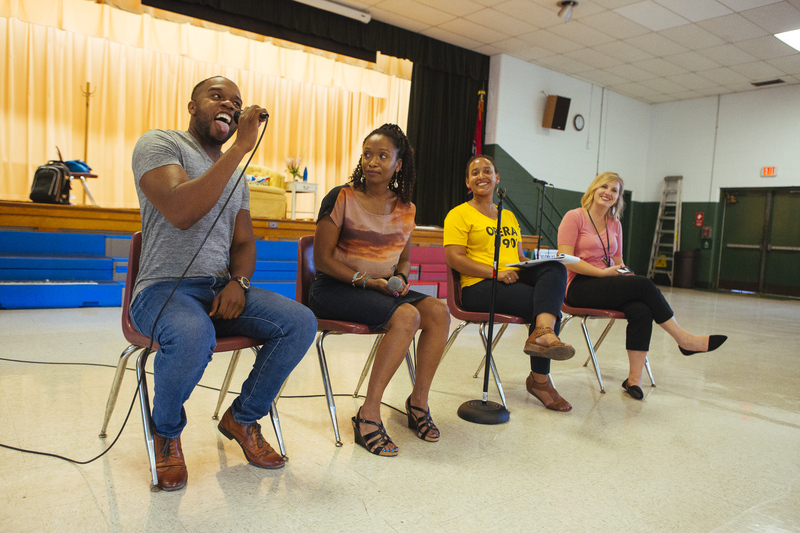 Our goal is to address pipeline issues in the field by advancing talented individuals who can have an impact beyond Opera Memphis. In keeping with the legacy of Madame McCleave, this fellowship is dedicated to providing professionals of color with the tools they will need to become successful, impactful artists. If you are interested in donating to The McCleave Fellowships, please contact Jason Hardy here or by calling (901) 202-4542. 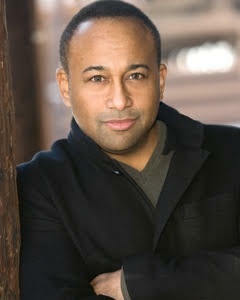 "I am most passionate about theatre that examines, debates or provides new insight on the issues that face African Americans, people of color or any marginalized group of people. Ultimately, my goal is to use my artistic voice to tell passionate and emotionally moving stories that invite, encourage and inspire audiences to feel and discover a new social or political perspective. By understanding these unique views, we can better understand our world and takes steps toward positive change." 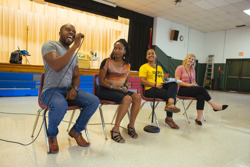 Our Year One Partners: Carpenter Art Garden, Sherwood Elementary, Bridges USA, Memphis Slim Collaboratory, and the Vollintine-Evergreen Community Association. 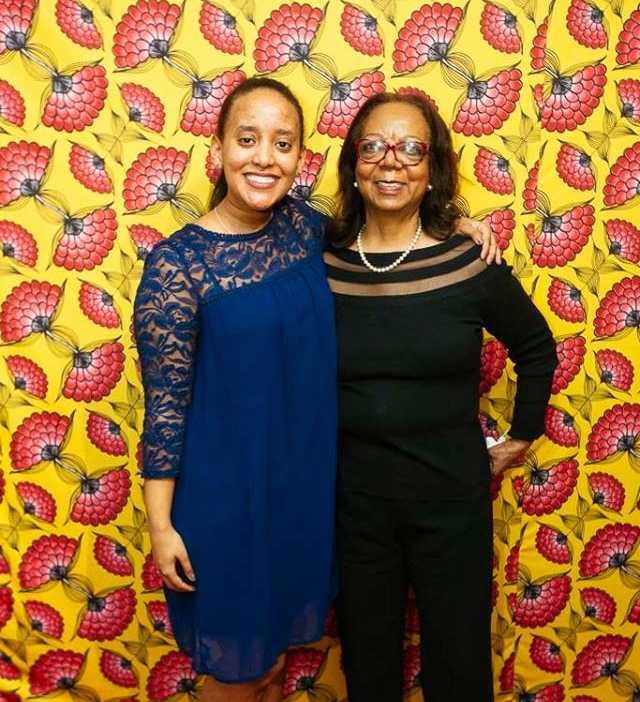 Dr. Yvonne Robinson Jones (pictured left with Project Manager, Tiegst Ameha), who has been a consultant on The McCleave Project since its inception, and her dilligent work as a researcher and connector is invaluable. Florence Cole Talbert-McCleave was a Detroit-native whose voice and passion took her all over the world. From the beginning, she was destined to be a singer; her mother Sadie Chanler Cole was a member of the famed Fisk University Jubilee Singers. 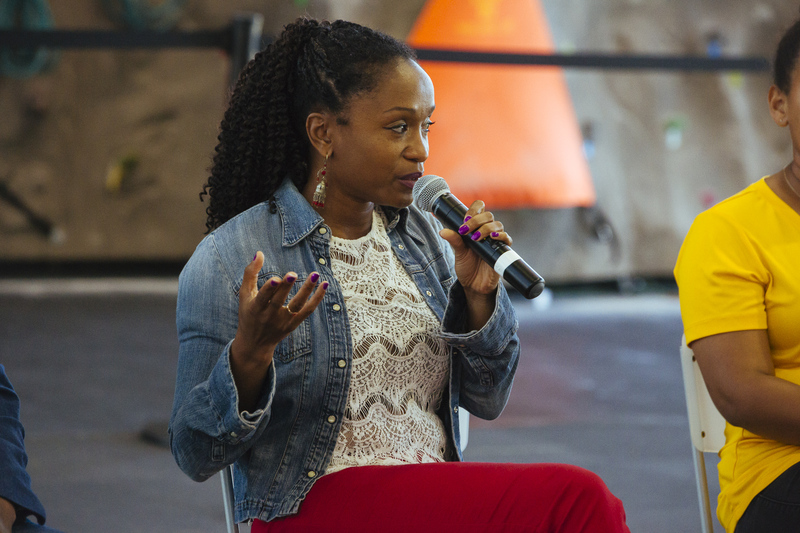 Her early life foreshadowed her trailblazing career. She was the first African American student to attend Los Angeles High School, and after attending University of Southern California, she was the first woman of color to be involved in the commencement exercises of the vocal department of Chicago Musical College. After graduating with honors, McCleave toured the US solo and with Hann's Jubilee Singers and recorded with record companies including Paramount. In the interest of pursuing operatic training, McCleave moved to Europe to study under Delia Valeri. In 1927 Florence McCleave sang Aida at the Teatro Comunale in Cosenza, Italy. While her trip included critically acclaimed appearances in Paris, London and Rome, this performance of Aida was significant because she was the first African American singer to perform the role in Europe. In the US, however, she had few options in opera, though she gave recitals and recorded. In 1930, she moved to Memphis, where she not only taught voice, but brought artists like Leontyne Price and George Shirley to sing at LeMoyne College (now LeMoyne Owen), a historically black Memphis university. While The Met was touring to Memphis in a white-only venue, McCleave was spreading a love of opera to generations of young black Memphians, and ensuring her community heard some of the best singers in the world. The McCleave Project is made possible by the Opera America Innovation Grant, funded by the Ann and Gordon Getty Foundation.